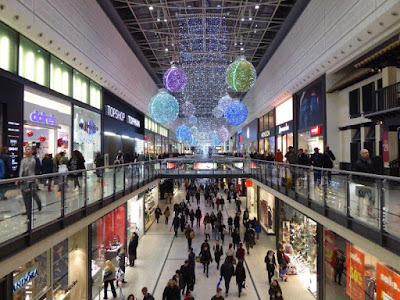 Dante Group has installed ACTviquest, an integrated access control and video management solution, at the £100m Manchester Arndale shopping mall. Unique in the security industry, ACTviquest from ACT enables users to operate cameras and access control from a single platform as part of a unified suite. The Arndale is the third largest city-centre shopping venue in Europe. It has complex needs and required a scalable solution that would combine VMS with access control as a genuine integration rather than a ‘bolt-on’ compromise. ACTviquest offers flexible video recording, retrieval and archiving options with broad access control information such as break-glass, door forced or door ajar scenarios. Users at the Arndale are benefiting from a GUI that shows the site with a 3D feel which represents all devices and their current status as icons. Fire alarm systems and break-glass incidents are included in these views. If a member of the public or an intruder attempts to use a restricted door anywhere on the 140,000 square-metre Arndale site, ACTviquest highlights this to operators and presents them with camera feeds in the relevant zone. The Arndale has a nine-floor central tower with offices that are used by its own staff and third parties. Employees use MIFARE cards with access privileges appropriate to their job. They present their card to readers, and door control is then managed via ACTpro 4000 controllers. These units are designed for high-traffic volumes where changes to the cardholder database are a regular occurrence. They can manage up to 60,000 users. ACTviquest has a mobile app that not only allows Arndale managers to view the site remotely but means they can leave the control room during an incident to gain information on the ground as a situation unfolds while still viewing camera streams and access control status from a smartphone or tablet. This level of information can contribute to optimum decision-making. The app, which is available for both iOS and Android, gives comprehensive PTZ control of cameras. As an alternative, users outside the operational hub can both view and control up to six cameras as well as monitoring access control events simply by logging in to any major web browser. Thousands of business visitors come to the site in Manchester’s city centre for appointments every week. ACT worked with Dante Group and Thames Valley Controls (a high-technology lift control specialist) to ensure that ACTviquest is aware of which lifts and doors are appropriate for each visitor’s destination. If a visitor tries to enter areas that are not applicable to them they will be denied access. As the project develops, ACT will be integrating with over 150 cameras (both IP and encoded feeds from analogue) at the Arndale. The software supports all major camera brands including Hikvision, Ganz, Vivotek, Bosch, Samsung and Sony. ACT solutions are being used extensively in the retail sector. Other major applications include the French chain Hyper U, Asda in the UK (a subsidiary of Walmart), Sainsbury’s, Aldi and Ocado (an online supermarket). Dante Group provides project management services as well as commercial fire and security systems throughout the UK. The company has mechanical and construction divisions. It has achieved the quality standard ISO9001 and environmental standard ISO 14001. Specialisms include CCTV, door entry, intruder alarms and PA/VA.